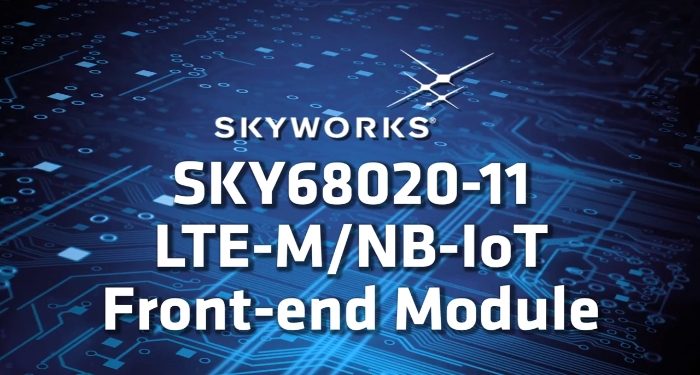 Skyworks has introduced a new LTE-M/NB-IoT front-end solution for low-power, low-data rate Internet of Things (IoT) applications that provide global coverage. The SKY68020-11 is designed to meet the most difficult network operator band specifications, this advanced multi-band front-end module is system-on-chip (SoC) agnostic and offers broad frequency range and excellent harmonic performance. Target customers for this RFFE include LTE-M and NB-IoT device manufacturers developing global SKUs for both fixed and mobile wireless IoT products. The SKY68020-11 is a hybrid, multi-band multi-chip RF front-end (RFFE) module supporting cellular LTE-M/NB-IoT (half-duplex system) transceiver platforms. 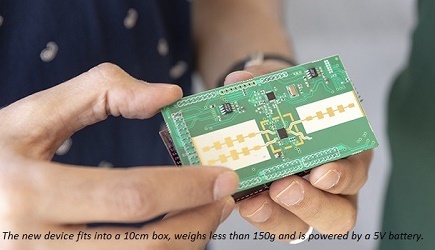 The module integrates the entire RF front end necessary for an LTE multi-band radio operating in low-band (5, 8, 12, 13, 14, 17, 18, 19, 20, 26, 28, 71, and 85), and mid-band (1, 2, 3, 4, 25, 39, 66, and 70) frequencies, including Rx low-pass filters, broadband PA with bias controller, Tx low-pass harmonic filter, antenna switch, and MIPI RFFE controller. Click here to learn more about this IoT FEM.